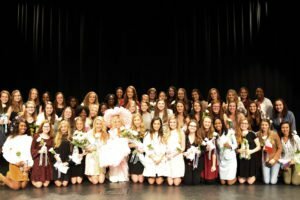 An informational workshop will be held for sophomore girls interested becoming a Mobile Azalea Trail Maid. More information will be available closer to the event. Packets go out to schools for completion in August. School Interviews and school selections take place prior to county interviews, specific dates are determined by the individual schools. Check with your school for more details. County Interviews for Fall 2019 have not been set yet. *Times will be available closer to the event. **All dates and locations are subject to change with advanced warning.